France undoubtedly has an abundance of ski resorts that are perfect for different types of skiers, from those searching for the rugged off piste experience right down to ski virgins sampling the delights of skiing holidays for the first time, plus everyone else in between. In the run up to the coming ski season everyone, especially families, are looking for a bargain, so in addition to their current family friendly offers in Risoul, Serre Chevalier, Chamonix and Morzine, online tour operator. Activity Breaks provides a few great deals in some fantastic yet lesser known resorts, off the beaten track that may help your family get on the piste for less this winter. 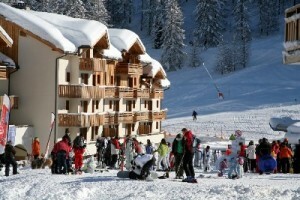 This first of which is Termignon, and it represents possibly the best value for money ski deal you will find anywhere in France, with deals here from £212 for a family of 4 staying 7 nights in 3* on piste apartments. 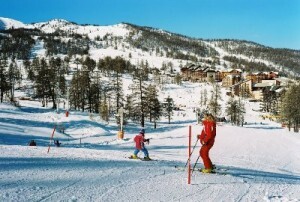 It is a very family oriented resort, based around a mountain village which has preserved its traditions and rich heritage, and although it is a smaller resort with only 15 runs, it is a perfect place for beginners, where the slopes are much quieter and with only green, blue and red runs you’re amongst skiers who are at a similar level to you. That said, Termignon forms part of the Val Cenis Vanoise ski area offering a total of 125km of pistes, perfect for if you decide you would like to try more difficult runs. Puy St Vincent offers up fantastic skiing, perfect for families, couples and groups alike, and it too comes in at very wallet-friendly prices, from £244 for a family of 4 staying a week. Plus one of the popular 3* packages here offers use of an outdoor heated pool and sauna. The resort itself is spread over three levels, with 1400, 1600, with most of the shops, bars and restaurants and 1800, where most of the tourist residences are located, plus it benefits from being a ‘Famille-Plus’ resort. This means you can rest assured it is a perfect resort for kids, with snow parks, mountain cubs centres and mini clubs, plus day care for the really little ones. Also it is good choice for beginners with the majority of slopes being green and blue. Les Orres is a beautiful ski resort in the Hautes Alpes region of France, and with amazing views over the lake of Serre-Ponçon and pistes at over 2500 metres altitude, it makes for a great place to ski. With the majority of its 35 runs being red, it is brilliant for families who have skied before and it too comes in at a reasonable price, from £284 for a family of 4 staying a week in a 3* apartment, with use of a swimming pool and sauna. Families can rest assured knowing their kids are fully catered for, with day care centres, snow parks and youth clubs providing care for kids from 6 months to 12 year old, and with snow cannons covering 70% of the total area, snow is virtually guaranteed throughout the season, so there is no need to worry about a lack of snow either. If you are considering France for your next ski holiday then hopefully these will provide you with some food for thought, and show you that there are some great deals to be had out there if you are willing to try ski resorts which are a little off the beaten track. ActivityBreaks is also running a promotion where if a customer books any ski deal worth €500 or more before the end of August, they will automatically receive a 7 night summer holiday in Italy. 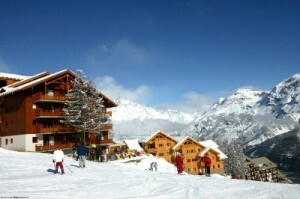 For more info please see our skiing page.